The power and importance of digital transformation is clear. 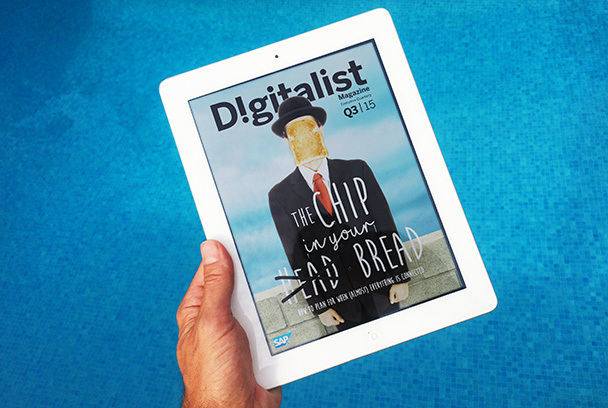 “Digitalists” are the people with the leadership responsibility to guide organizations through this change — and Digitalist Magazine is a new guide to help them drive this transformation. 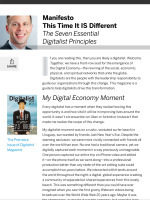 Digitalist is a digital magazine that aims to provide everything an executive needs to be a leader in the digital economy. 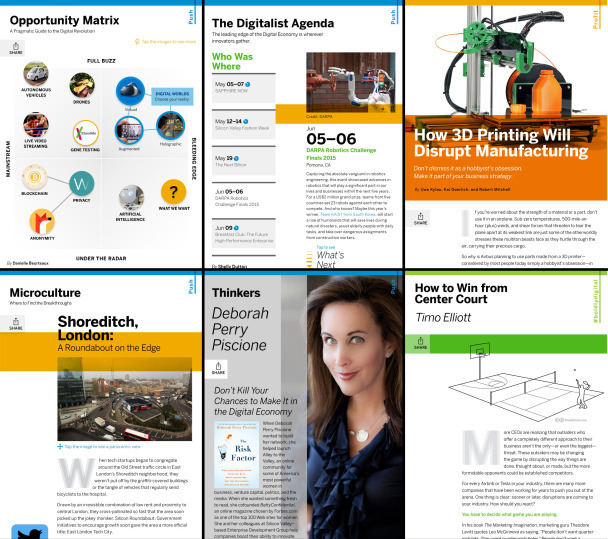 It offers a mix of columns, features, interactive visuals, and profiles that capture what’s happening now and what’s next in the world of business and tech. The magazine is edited by Elana Varon, former executive editor of CIO Magazine, and is published quarterly. It is free to download for tablets from the Apple and Google Play app stores. Each issue includes details of the latest under-the-radar trends, profiles of disruptive companies and technologies, and interviews with leading thinkers who are shaping the future of technology and business. Stories will focus on five key areas: the overall Digital Economy, the Future of Work, Finance, the Future of Resources, and the Future of the Customer Experience. “Together, we have a front-row seat for the emergence of the Digital Economy — the rewiring of the social, economic, physical, and spiritual networks that unite the globe”. Opportunity Matrix: A Pragmatic Guide to the Digital Revolution: A graphical view of the latest trends. The Digitalist Agenda: A roundup of the leading edge conferences and events. How 3D Printing Will Disrupt Manufacturing: A review of the key trends, from industrial machinery to the maker movement. Microculture: Shoreditch, London: A look at where Digitalists hang out around the world. Thinkers: Deborah Perry Piscione: Author of the book The Risk Factor explains how not to kill your chances to make it in the digital economy. How to Win From Center Court: A lighter-hearted look at Digital Economy, by me. More coverage of Digitalist is available on Advertising Age and Innovation Excellence, and check out the many additional articles and features are available in the Digitalist Magazine online version. For more information, follow the Digitalist Twitter feed at @digitalistmag and enter the conversation using the hashtag #Digitalist.